Dark Elves are among the most ruthless and feared races in all the realm, but you can defeat them easily! Show your contempt for them and flaunt your power by wearing the Dark Elf Trophy Mask! Your enemies will run in fear! 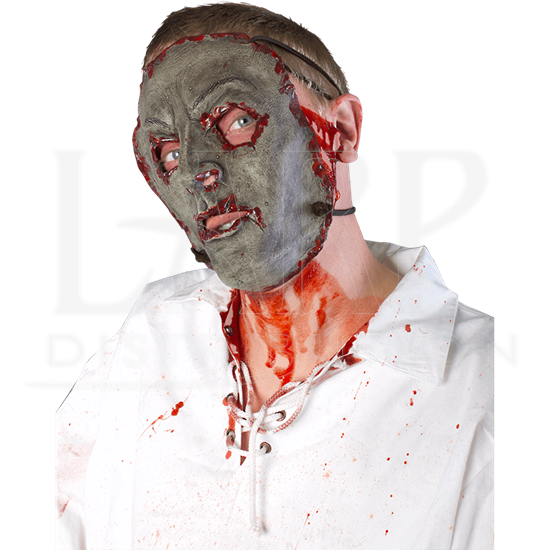 This gray skinned latex face mask is hand-crafted to look like a bleeding face that has been secured to black straps. 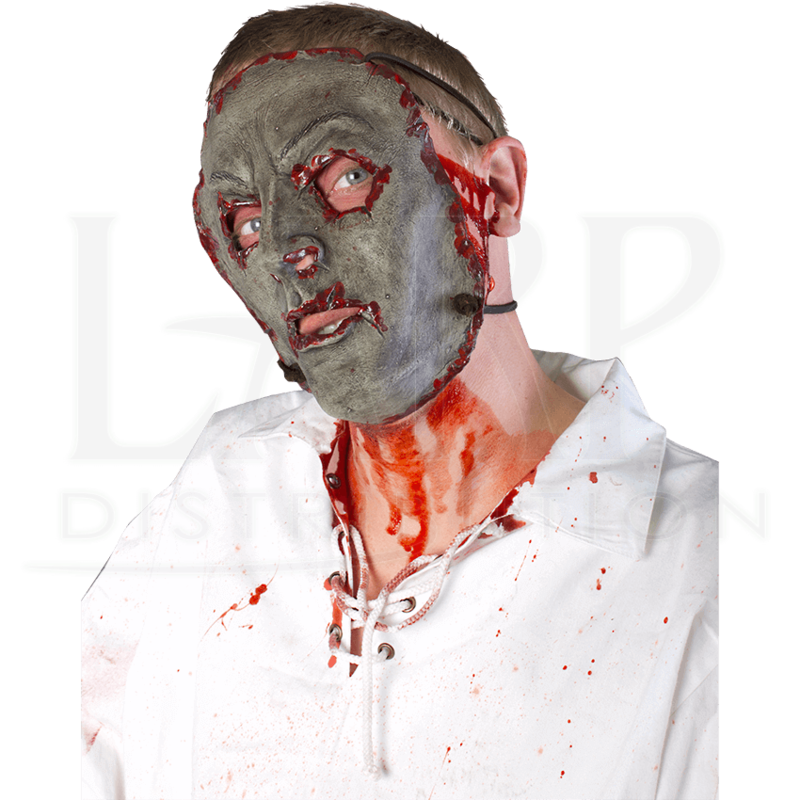 Blood spatters the edges of this mask, giving it a freshly cut appearance. Dress to impose fear upon your enemies when you place this mask over your face and flaunt your power on the battlefield!